This community hospital with a service area of 100,000 needed to revamp its inpatient surgical unit and called O&G’s Special Projects Group back to perform this fast-track project. The demolition, reconstruction and outfitting of Operating Room #1 had to be completed in a ten-week period. Situated in a surgical suite with four other active ORs, maintaining infectious control protocols and damping sound from the site were essential. 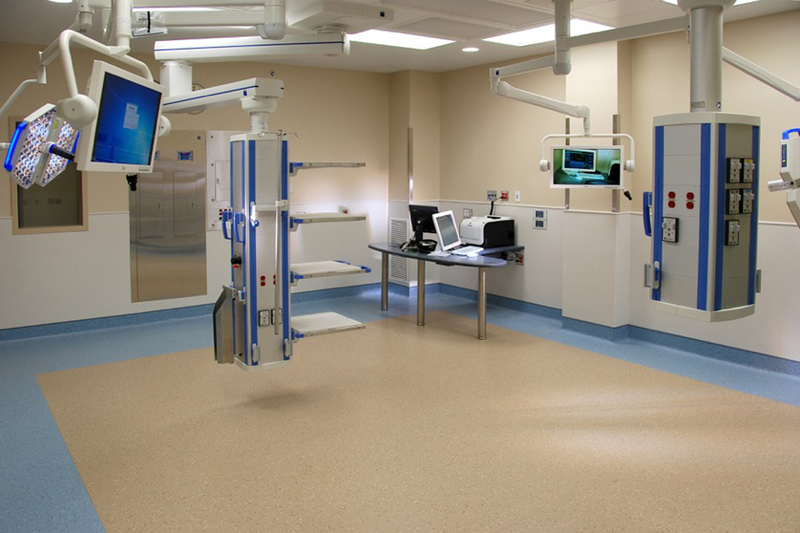 Work included an expansion of the original OR space to 1,000SF, installation of top-of-the-line air handling rooftop units to independently supply OR#1, the installation of Trumpf operating theater integration systems and lighting, and upgraded mechanicals and finishes throughout.